That That Is ... Is (Not) is ranked 2nd best out of 2 albums by Dissolve on BestEverAlbums.com. 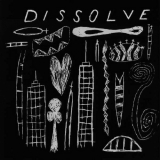 The best album by Dissolve is Third Album For The Sun which is ranked number 83057 in the list of all-time albums with a total rank score of 1. Members who like this album also like: Even The Sounds Shine by Myra Melford, Substrata by Biosphere and La Double Vie De Veronique by Zbigniew Preisner. Related links: top tracks by Dissolvetop tracks of the 1990s, top tracks of 1995.